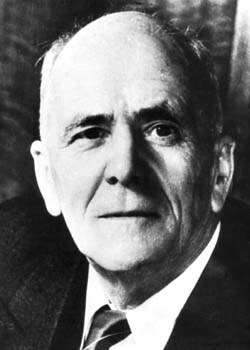 George James Coles (G. J. Coles) businessman and philanthropist, was born on 28 March 1885 at Jung Jung, near Murtoa, Victoria. George James Coles | 28 March 1885 - 4 December 1977, was the second of ten children and eldest son of George Coles, storekeeper, and his first wife Elizabeth, nee Scoular, both Victorian born. The family moved frequently, establishing several stores; George was educated at various state schools and as a boarder at Beechworth College. In 1910, after working in Melbourne and in the country, George bought his father's store at St James. Three years later he decided to travel to the United States of America and Britain to observe the methods and style of retailing. He was greatly impressed by what he saw, particularly in the '5 and 10 cent stores', common in the U.S.A. In April 1914, in partnership with his brothers Jim and (Sir) Arthur, he opened the first Coles "variety store" in Smith Street, Collingwood*. Expansion to more stores occurred and the chain was regarded as the leaders in providing value to Australian shoppers. In 1960, the first supermarket was opened in Melbourne suburb, North Balwyn and in 1973, a Coles store had been established in all capital cities of the country. In 1996, BI-LO acquired the six-store Newmart discount supermarket chain in Western Australia which then became the equivalent to BI-LO in Western Australia. By August 2002, it grew to 16 stores before being transferred to the management and being re branded as Coles, though some stores were sold off to FAL and became Action Supermarkets. By the 1980s, Coles primarily operated supermarkets, whilst Myer operated a chain of mid-market department stores, as well as the Target Discount variety store chain in Australia. In August 1985, the Myer Emporium Ltd and GJ Coles & Coy Ltd merged, becoming the largest ever Australian Corporation. The official name change to "Coles Myer Limited" followed in January 1986. * In 2015, Coles Group opened a new store in Smith St Collingwood. 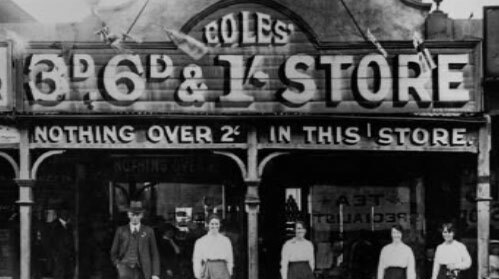 The store will be located in the same area where Coles founder George James opened his first store. It is situated at 170 Smith Street, Collingwood and will employ 100 staff.